Last 18th February the British newspaper Telegraph elected the most amazing Art Deco hotels in the world. With the title Decadent design: the world's most amazing Art Deco hotels, the article elects the Hotel Britania for its unique characteristics, from its project by the famous architect Cassiano Branco in the 1940’s, to the original cork floor of the rooms, but specially for preservation of its original Art Deco ambiance through the years being now the only Art Deco Hotel in Lisbon. The only hotel to remain intact until today, this hotel records the glamour of the 1940’s. Everything about its design strives to reawaken the spirit of the unit without losing its original soul. 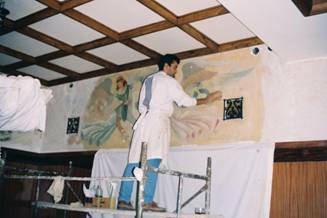 This is one more international recognition that rewards the effort and compromise of this hotel from the Lisbon Heritage Collection, in the preservation and conservation of the National Heritage. Heritage Avenida Liberdade Hotel belongs to the Lisbon Heritage Hotels that offers a collection of Small Boutique Hotels in the historic center of Lisbon – As Janelas Verdes, Heritage Avenida Liberdade Hotel, Hotel Britania, Hotel Lisboa Plaza and Solar Do Castelo. This is one more international recognition of the excellence of servicethat Lisbon Heritage Hotels offer in their boutique hotels. The Travellers’ Choice prize is granted based on millions of reviews and opinions from Tripadvisor travelers from around the world. It’s an international recognition of Excellence in Service given once again to this small collection of boutique hotels in Lisbon. 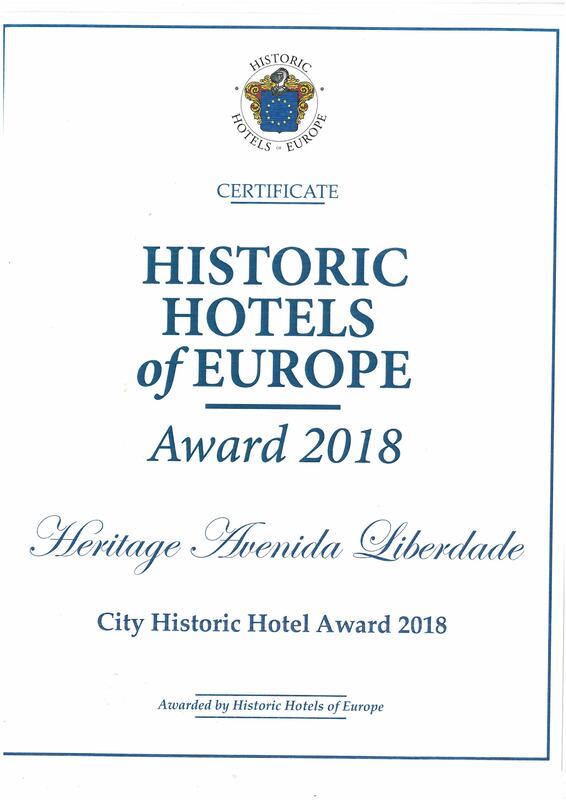 The Heritage Avenida Liberdade Hotel has won the Historic Hotels of Europe Awards in the Best City Historic Hotel category. The awards ceremony took place yesterday at Barberstown Castle near Dublin. The awards are awarded on the basis of nominations made through the votes of clients and followers of Historic Hotels of Europe. In the words of Barbara Avdis, Chairman of the Historic Hotels of Europe, “The winners of the 2018 Historic Hotels of Europe Awards represent an inspiring group of hoteliers with exceptional historic properties and an outstanding dedication to authentic hospitality spanning across Europe." These awards are the recognition of the hotels commitment to offer a service of excellence and quality. Historic Hotels of Europe is a membership organisation representing unique places to stay in Europe. Encompassing castles, chateaus, palaces, monasteries, convents and more, they have almost 400 members dotted across 11 countries. Each property within the association has been handpicked for its historical architecture and the unique stories it tells. Heritage Avenida da Liberdade, one of the charming hotels of Heritage Hotels Lisbon, won last night the Condé Nast Johansens Annual Awards for Excellence in the Best Luxury Value category. The award was presented during the 36th Annual Awards Dinner in London and aims to recognize the best price / quality ratio among all high-end hotels in Europe and the Mediterranean. The Condé Nast Johansens Annual Awards for Excellence award is based on online public voting, Customer Quality Surveys and Regional Inspector Reports. Condé Nast Johansens is the most comprehensive illustrated guide to the best accommodation, spas and events on the five continents. Each unit is inspected and evaluated by the Regional Inspectors who verify the requirements to integrate this guide. With all the reviews collected, Tripadvisor may distinguish the most exceptional hotels in the world by the 15th year of the “Travellers’ Choice Awards”. The Best Hotels in Portugal by The Telegraph acclaims Portuguese hotels that have been tried and tested, and where we can find the all Heritage Lisbon Hotels rated above 8 out of 10. Owned and managed by Portuguese families, Heritage Lisbon Hotels conciliates Portuguese traditions with all actual comfort offering, this way, unique and exclusive experiences. This is one more international recognition of the quality and exclusivity that the guests may find staying at these charming shelters, located in the historic quarters of Lisbon. The Heritage Lisbon Hotels is member of Historic Hotels of Europe, and represents a collection of charm hotels located in the historic center of Lisbon, in old houses or historic buildings. Owned by Portuguese families who came together to create intimate environments, where everything is thought to emphasize the connection to the city of Lisbon and its heritage and culture. There are five Heritage Hotels Lisbon: As Janelas Verdes, Heritage Avenida Liberdade Hotel, Hotel Britania, Hotel Lisboa Plaza and Solar Do Castelo. The Hotel Lisboa Plaza, one of Heritage Hotels Lisbon, surprises its clients once more with a renewed image of its 92 rooms and 12 suites. Now guests can even choose a room with carpeted floors or wood. The rooms and suites decoration, mostly with Portuguese materials, have now a lighter look, but with the same traditional character, keeping the hotel's identity, which is marked by a warm atmosphere with a classic style and familiar ambiance. 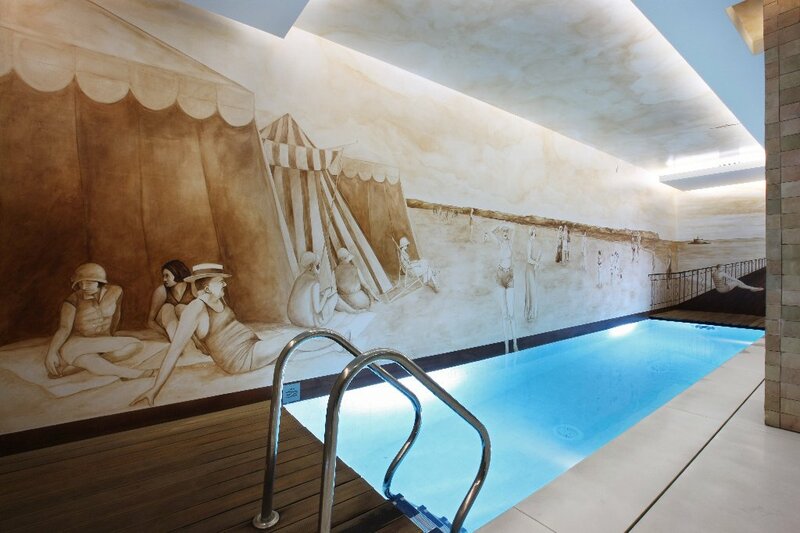 This décor was entrusted to the interior architect, Sofia Duarte Fernandes. On the beds the Burel blankets produced in Manteigas - Serra da Estrela, replace the heavy quilts. The marbles and the taps from the early 50’s in the bathrooms were recovered, reading lights on the headboards were installed, the old curtains were replaced by lighter ones with ethnic motifs, a beige wallpaper was chosen to match the fabrics of the sofas. As for the floors, 50% of the rooms had the original wooden tacos recovered and the remaining rooms kept their carpet to meet the guest’s different preferences. 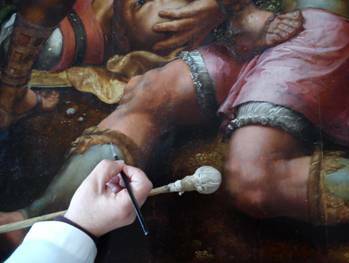 Improvements were also carried out in technology and security. 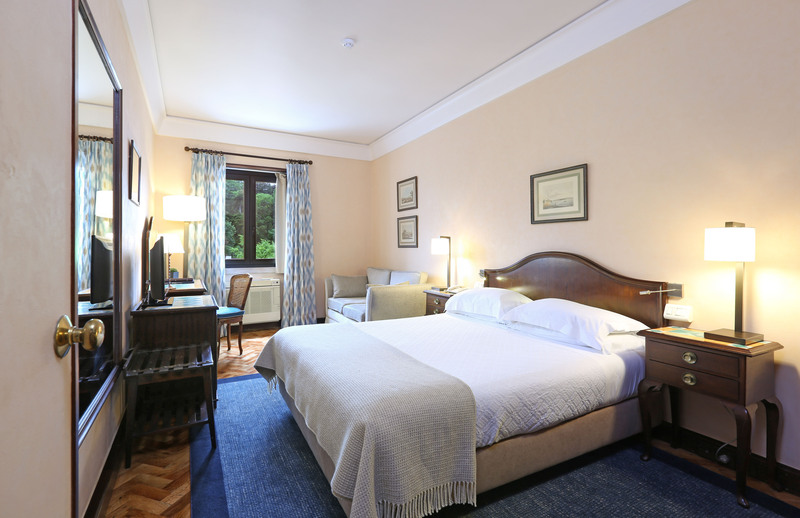 Thereby, Hotel Lisboa Plaza had one more total renovation, which throughout its more than 60 years has managed to keep its familiar ambiance, offering its customers a traditional and intimate environment right next to Avenida da Liberdade. The Heritage Lisbon Hotels gathers charm hotels located in the historic center of Lisbon, in old houses or historic buildings. Owned by Portuguese families who came together to create intimate environments, where everything is thought to emphasize the connection to the city of Lisbon and its heritage and culture. There are five Heritage Hotels Lisbon units: As Janelas Verdes, Heritage Avenida Liberdade Hotel, Hotel Britania, Hotel Lisboa Plaza and Solar Do Castelo. With all the reviews collected, Tripadvisor may distinguish the most exceptional hotels in the world by the 14th year of the “Travellers’ Choice Awards”. The Heritage Avenida Liberdade Hotel received last Friday, the prize for the Best Four Star Hotel at the Publituris Portugal Gala - Travel Awards’ 15. This is the third recognition for the Heritage Avenida Liberdade Hotel since in 2007 and 2008 had already won this category. 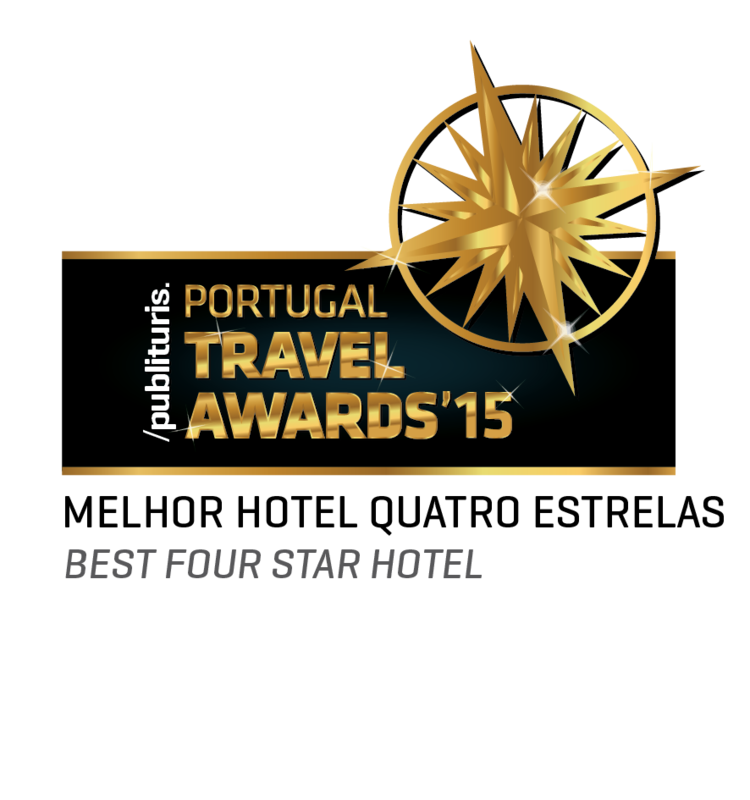 The Portugal Publituris Gala Travel Awards’ 15 is known and recognized in Portugal as the Oscars for the Portuguese Tourism. The Heritage Avenida Liberdade Hotel belongs to the brand Heritage Lisbon Hotels created in 1998 with the purpose of promoting a small collection of Boutique Hotels in the historic center of Lisbon installed in old houses or historic buildings. There are five units: As Janelas Verdes, Heritage Avenida Liberdade Hotel, Hotel Britania, Hotel Lisboa Plaza and Solar Do Castelo. 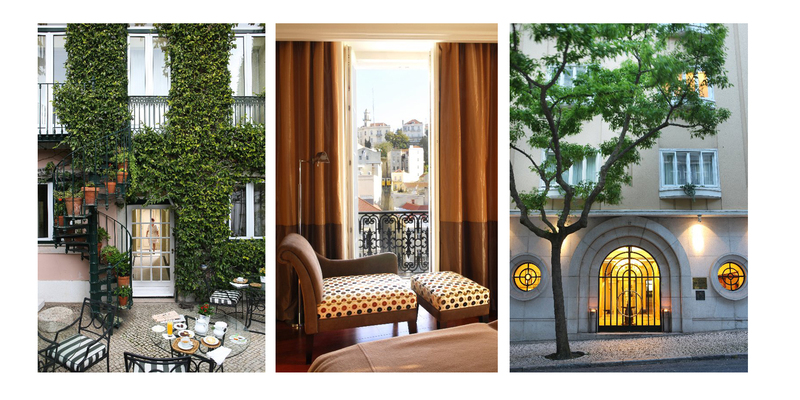 All of the Heritage Lisbon Hotels won the 2015 Certificate of Excellence from TripAdvisor. It’s the 5th consecutive year in which all units receive this distinction from the world’s largest travel site and consequently inducted into "TripAdvisor Hall of Fame." This award only recognizes units that consistently achieved the best ratings from TripAdvisors’ users reviews in the past five years. It's an important international recognition that distinguishes the quality and service that the Heritage Lisbon Hotels already accustomed guests to. 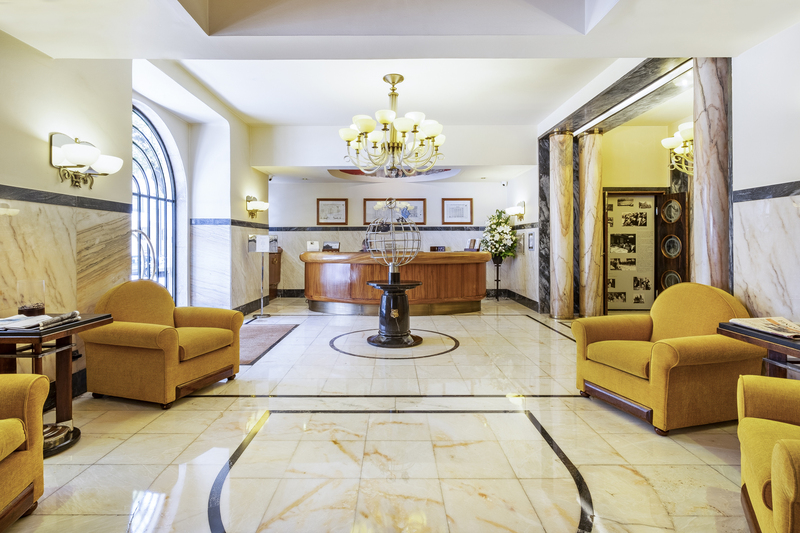 The Heritage Lisbon Hotels offer charm and tradition units located in the historic center of Lisbon - As Janelas Verdes, Heritage Avenida Liberdade Hotel, Hotel Britania, Hotel Lisboa Plaza and Solar Do Castelo. Hotel Britania and the Heritage Avenida Liberdade Hotel in the categories of Best Service, Top Hotels and Romance, and As Janelas Verdes in the categories of Small Hotels and Romance. The Travellers’ Choice prize is granted based onmillions of reviews and opinions from Tripadvisortravelers from around the world. With all the reviews collected, Tripadvisor may distinguish the most exceptional hotels in the world by the 13th year of the “Travellers’ Choice Awards”. Solar Do Castelo is recommended by ABC News in a list that selects it as one of the "11 Hotels That Are Destinations Unto Themselves". Usually the destination is the main reason for a trip, but in this article the publication reveals that the hotels are considered a destination in itself because of the unique experience they provide. Solar Do Castelo is thus described as a "Medieval Village Hotel". 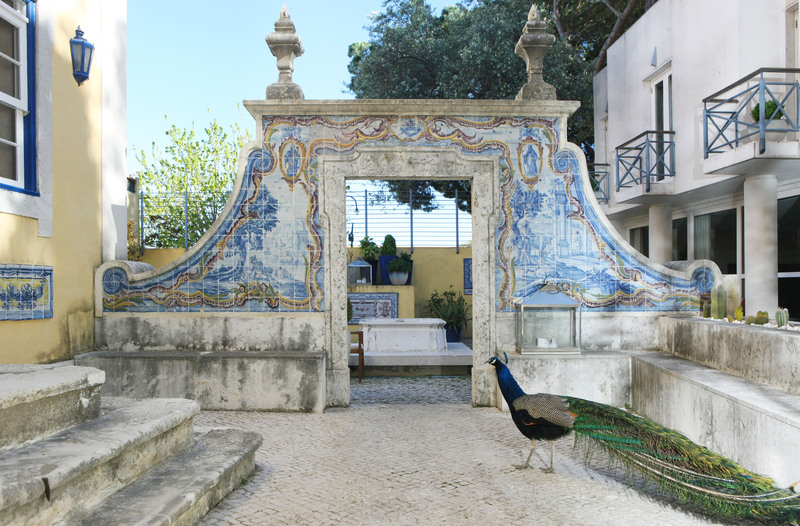 A historical refuge, unlike all other hotels in Lisbon, not only for their peculiar rooms and the courtyard that is visited by peacocks, but also for its location, as it is the only unit located within the walls of Castelo São Jorge. 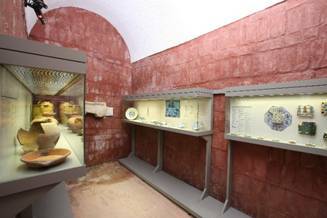 Guests can connect with the history of Lisbon through the building's rich past, where there is also a small archaeological museum of artifacts found during the restoration of the building. In fact, there are so many reasons and facts that make this little paradise a travel destination itself. 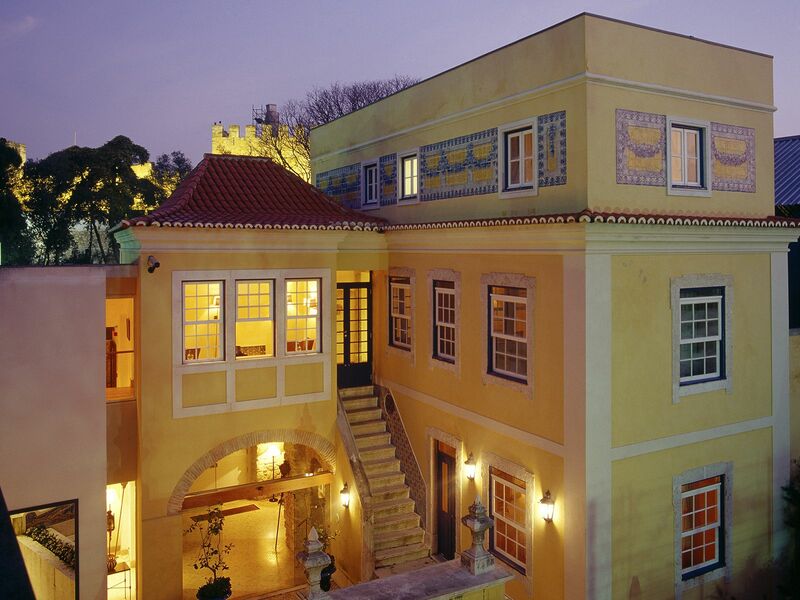 Solar Do Castelo is part of the Portuguese Heritage Lisbon Hotels chain. The brand Heritage Lisbon Hotels was created in 1998 with the purpose of promoting a small collection of Boutique Hotels in the historic center of Lisbon installed in old houses or historic buildings. The Heritage Lisbon Hotels represents five properties: As Janelas Verdes, Heritage Avenida Liberdade Hotel, Hotel Britania, Hotel Lisboa Plaza and Solar Do Castelo.